Undoubtedly, one of the most stressful parts of wedding planning is picking out the perfect venue. When you and your special someone are considering this topic, it is first important to identify and examine what is most valuable to you in a venue. I’ve included a list below of a few things that you should consider. I would recommend listing your top five and then your top three. Aim for satisfying five, but do not compromise your top three values. You’ll thank me later! The price is incredibly important to consider when choosing a venue because the venue will likely take up one of the bigger portions of your budget. Keep in mind that the price of your venue can also include the food, but some venues do not include food. Food is one of the most crucial parts of any wedding. You should evaluate how involved you want to be with this. If you prefer a hands off approach, look for venues that include food—many do! If you are unsure of what your aesthetic preferences are for your venue, look around on the internet to develop your preference. Sometimes, looking at a venue can inspire you so much that its aesthetic is the aesthetic that you want. If this is the case, good for you! Skip the Pinterest session. How many people will the place fit? Hopefully you have a rough estimate of how many attendees you will be expecting. Once you have an idea of this, keep it in mind as you venue shop. This is open to many possibilities. First, establish whether or not you want the ceremony and reception to both be indoor or outdoor. If that is too much of a commitment for you, fear not! You can have the best of both worlds! Many venues (many included below) provide both settings for your picking pleasure. The typical template is having the wedding ceremony outside and the reception inside, though I have seen it in the reversed order as well. Decide what your dream is for your wedding, and then make sure to think about this when you are touring different venues. The space of the place you choose for your wedding is crucial. When you look at different venues, you may want to consider using the space to its utmost capacity. At one wedding that I was in, the venue provided a little house walking distance from the ceremony and reception where the bridal party could get ready and wait until the magical moment. Something that people often forget is how accessible the venue will and should be to the guests. I went to a wedding once where there was no handicapped entrances, and it caused a few issues for one of the guests who was in crutches from a leg accident. You want to make sure that you think of these things. If the venue is in the middle of nowhere, make sure you clearly communicate it to your guests! Clear directions go a long way with wedding-goers! Similarly to communicating clearly how accessible the location is communicating about parking. I went to a wedding once where there was extremely limited parking and the wedding started late because of how long it took everyone to park. If the venue has limited parking but it is the venue you choose, make sure that you tell all of the guests on the invitation about the parking situation! The staff at a venue can make or break your experience. The easiest way to predict how staff are at a wedding location is by touring it in person instead of booking the place based on pictures. Check for politeness and reliability in the touring process. I also recommend seeing how willing they are to accommodating your specific requests. The community in which the venue is located in is important if only so that you can become familiar with it for people who are out of town! Ah, the coveted ceremonial view! This is so crucial for so many couples, and if you’re one of the many who invest a lot in the view for the pictures, the guests, the overall ceremony, then you will want to take note of this as you venue shop. Sometimes, a venue is not about the perfect aesthetic, food, or view. Sometimes, the emotional significance of the location trumps it all. And that is more than okay! I went to a wedding once that was in the cafeteria of a summer camp that was significant to the groom. And it was one of the most charming weddings I have ever been to! This is something you should at least consider as a backup plan, as places like these are often times creative, perhaps unconventional, and sometimes more economical. I think that the most rate-able things, the most objective elements of venues are the following: capacity, price, and location. For this reason, these three subjects I will give my own rating at the end of each location summary out of five stars. Now: the places! Located at 344 Silica Road NW in Quincy, Washington, the Cave B Inn and Spa Resort can hose up to 220 people. On their website, they estimate a wedding package to be priced anywhere from $3-7,000, approximately. For wine lovers, this is a utopia: it is surrounded by acres upon acres of beautiful vineyards which provide the perfect backdrop for the perfect wedding photos. Not only do the vineyards make a stunning backdrop, this venue overlooks striking cliffs of the Columbia Gorge. One of the most valuable things about this location is that it can be used for the ceremony and for the pampering! If you’re treating your girls to massages and facials, this location is where you’re looking for. The catering is phenomenal and worth looking into—I would recommend trying their menu and wine if you’re interested in serving alcohol. They have six different spaces that range from capacities of 24 people for a more intimate setting to 250 people if you’re inviting everyone and their mother. The Washington Avenue Event Center can seat anywhere from 50-275 people. It includes a beautiful dance floor for your special reception with dreamy lights available for decoration. While it may not look like the most stunning place on the outside (if I were rating aesthetic, the outside would get a solid 1/5 stars), it cleans up quite nicely on the inside. Right off of West Washington Avenue, it is easily accessible and easy to find. I would recommend this venue for anyone who is operating on a tighter budget. It lends itself well to smaller events and will not break your bank. They estimate on their website that a wedding package will cost anywhere from $800-$1,000. Rustic venue The Mighty Tieton is certainly a niche location, but a beautiful one nonetheless! If you are looking for a charming, trendy location for your wedding, The Mighty Tieton might be a good choice for you! This venue is definitely a unique one with its 26 foot ceilings and spacious rooms. Because of how large the place is, it can accommodate quite a lot: its website boasts of having a maximum capacity of 1,000 people. Customers rave about the accommodating staff who willingly set up different lighting equipment depending on the preferences of the wedding party. This venue was described by one customer as “truly unique and photogenic,” and if you are a Pinterest fan, this location might just be the one for you. I would recommend this is you are investing a lot of money in your photography. The Mighty Tieton estimates that an average wedding package would range between $1,900 and $2,500. This venue is one of the most aesthetic beauties Yakima has to offer. Positioned on a rich 46 acres of land, your guests’ will be remarkable, and not just because of the beauty of the bride! The fine folks at Yakima Area Arboretum estimate that wedding rentals will total between $1,690 and $2,590 and offer space for up to 250 people. There are a few different places within this location that could serve in multiple capacities. If you are an outdoors lover, the Japanese Garden or the Rose Garden would be excellent candidates for your ceremony or reception. For one of the most breathtaking views, look into Yakima Area Arboretum. If you’re not already sold by the sophisticated French name, perhaps the gorgeous setting would entice you. This location offers indoor and outdoor locations. Le Chateau gives off major country club vibes, which is a happy medium between simple and stylish. The architecture resembles a beautiful 1930s style and demonstrates a classic elegance that would make for a beautiful wedding. Placed across the street from the Hilton Garden Inn in Yakima, this venue would be a great place for out of town guests to find. Able to host a maximum of 350 people, Le Chateau is available for rent at all times throughout the year. 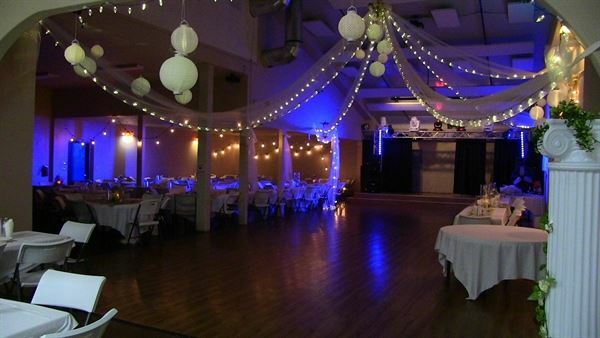 This adorable venue can be found at The Hackett Ranch, located west of Yakima’s city center. Hosting capacity maximizes at 250 guests outside and 99 guests inside. Outside, guests will be treated to a few of the beautiful orchards. The staff at Gilbert Cellars recommend, if possible, having your wedding at sunset because of the magical pink shadows it casts on Ahtanum Ridge. For wine lovers (and non-wine lovers! ), this is a worthy choice! Set in the Upper Yakima Valley, this winery surveys some of the most beautiful landscape in the Pacific Northwest. The view of this location is absolutely remarkable: it overlooks vineyards and mountain ranges as far as the eye can see. Your pictures are guaranteed to be beautiful if you pick this place. Fontaine Estates can host up to 250 people in the mansion that is atop the hill. The venue is slightly outside of the city, but pays for its inconvenient location with the gorgeous views. Ritter Farms, Inc. is located in Cle Elum, Washington. It is becoming quite popular in the Northwest due to its rustic charm and elegance. This is for any country girl or guy at heart as it features a red barn that seats up to 300 people. Offered additionally are two other spots called The Island, which has a maximum capacity of 300 people, and The Windmill, which has a maximum capacity of 125 people. If desired, this venue has a full bar and lounge area as well as a fully equipped kitchen. It even has Wi-Fi! (If that’s not a deal-maker, then I do not know what is!) This venue is all inclusive. It provides full service catering, tables, chairs, linens, etcetera. For this reason, the price is likely to be on the higher side. However, this may be something that you want to invest in. One thing to keep in mind this this venue is that it is truly niche: if you’re not a barn lover, do not bother touring this location. However, on the flip side, if you enjoy rustic aesthetic and southern décor, perhaps this is the venue for your magical day. Yakima has some of the most beautiful venues for weddings and if you live in the Pacific Northwest, consider some of these I have listed above!